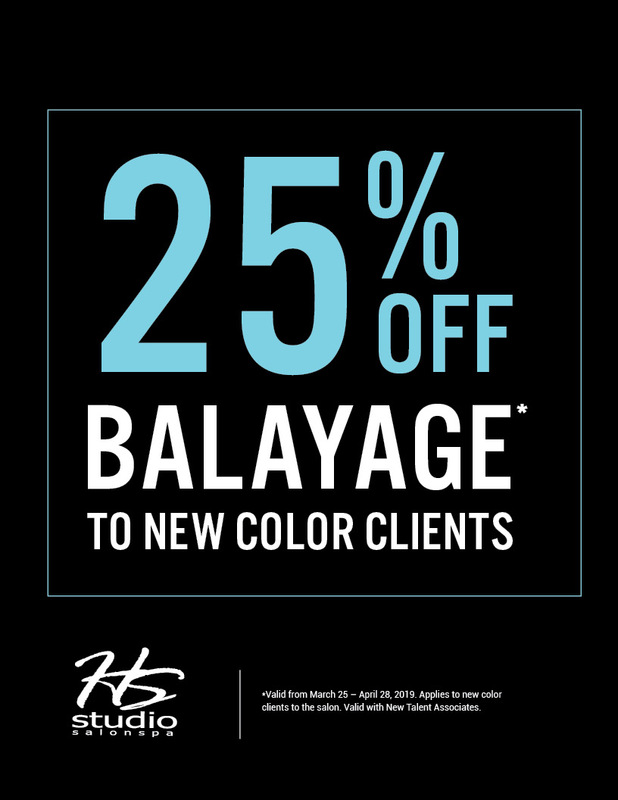 25% off Balayage for NEW Color Clients with NEW Talent Associates. *Offer applies to new color clients to the Salon, valid with new talent associates only. Valid from March 25 – April 28, 2019.